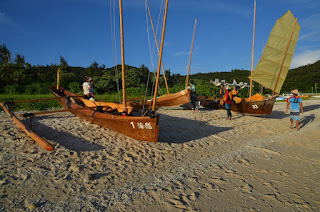 Readers of this blog can return to its very first posts to learn about my apprenticeship in 2009/2010 with one of the last three builders of sabani, the traditional fishing boat of Okinawa. 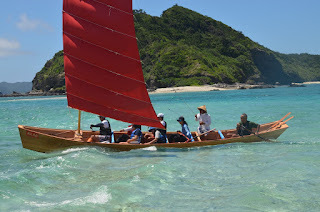 I built an eight meter sabani with Mr. Ryujin Shimojo on Iejima, one of the smallest of the Okinawan islands. An annual race brings together several dozen teams in an twenty-five mile open water race from Zamami Island to the capitol city of Naha. This year was the 18th race, and I finally got to see it. 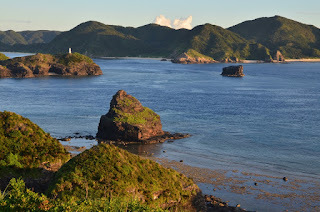 We took a break from the ukaibune project in Mino and my wife and I flew to Okinawa and took the ferry to Zamami. 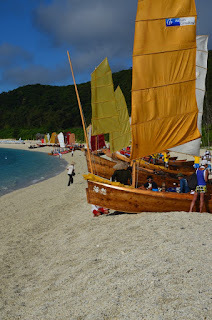 Zamami Island is a stunningly beautiful place and a wonderful venue for the start of a race which to me represents Japan's first real revival of wooden boatbuilding. 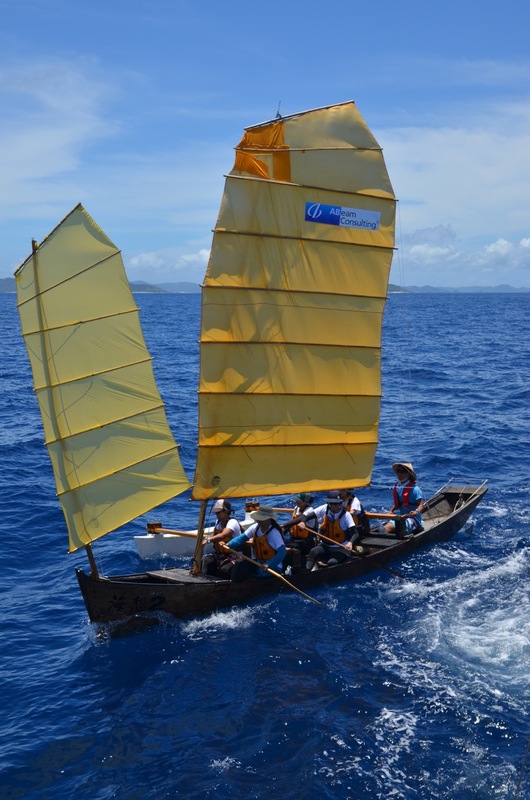 Since teams began forming twenty years ago the last three traditional boatbuilders were brought out of retirement to build racing boats. In the case of my teacher, he hadn't built a sabani in over forty years. For me it was a seven-year wait to finally see this race. The boat I built was taken to a Tokyo museum upon completion, but it returned to Okinawa to participate in the race this year, so we made it back together, so to speak. 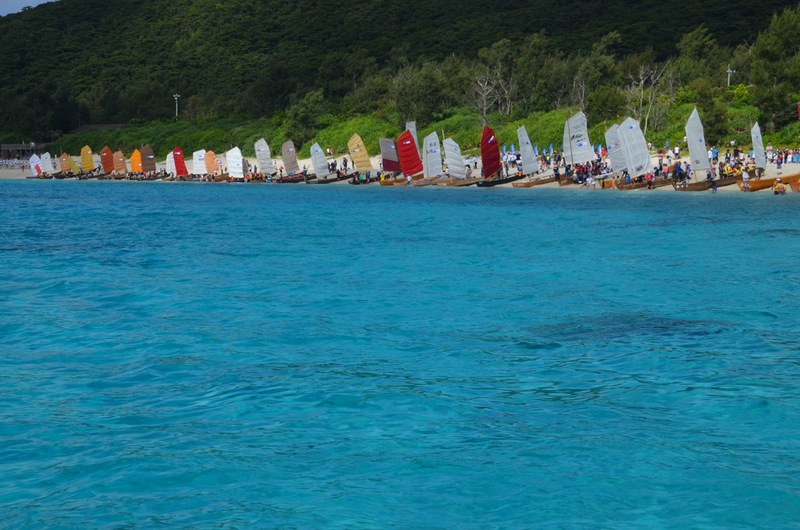 Thirty-six boats participated in this year's race. 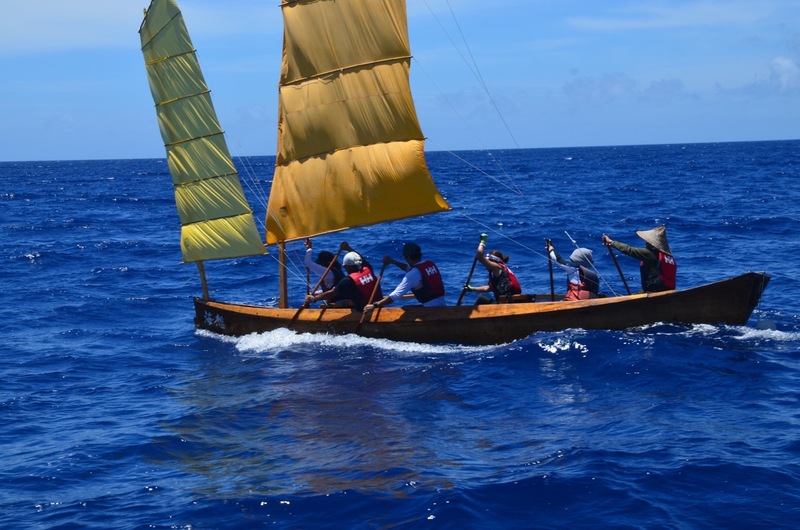 Twenty used outriggers, something the Okinawans did not use, but these boats are notoriously difficult to sail, so teams begin with outriggers and practice with the hope of being able to someday sail and race without them. 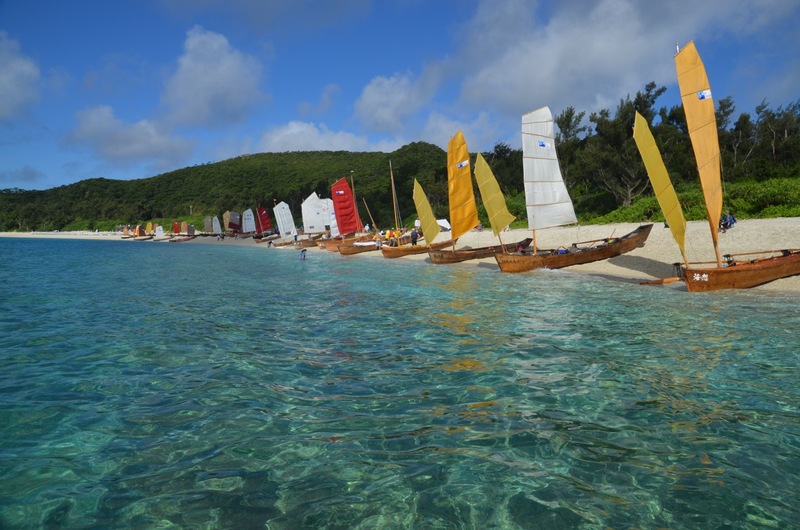 The fleet lined up on the beach before the start. Every single entrant is required to have a chase boat. 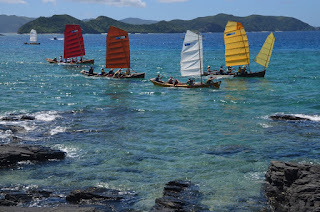 Racers must complete the course in seven hours, otherwise their chase boat tows them in. 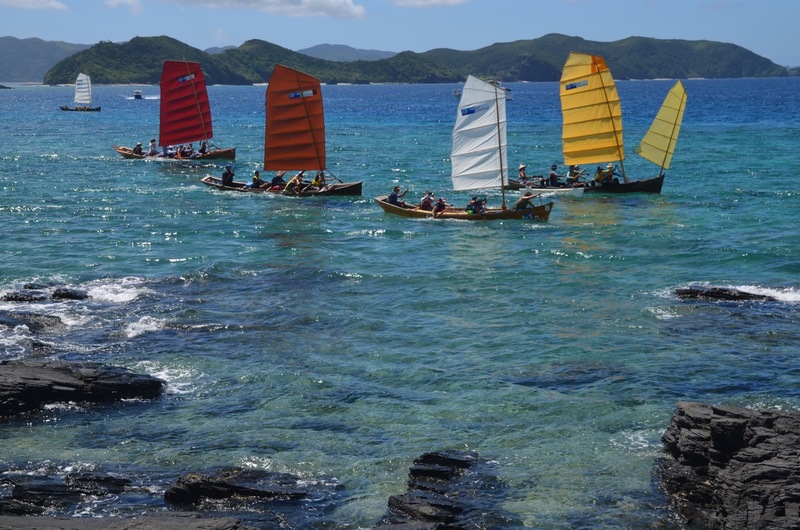 This year the fleet faced headwinds, and the region's notorious currents simply cannot be paddled against, so only three boats finished within seven hours. The second place boat was an all-woman crew from Iriomote Island competing in their first race. 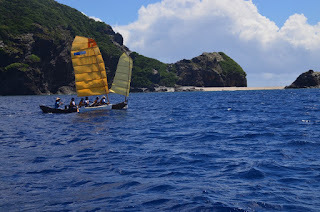 I was on the chase boat following the eventual winner, the boat from Kaisou, owned and skippered by Mr. Yoji Mori. 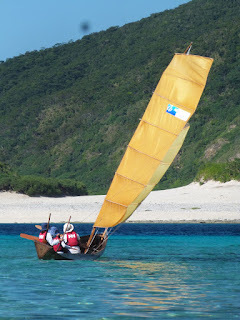 He is famous for his long-distance voyaging in sabani, and in fact his team left the next day for an inter-island passage. I am happy to say several new boats appeared for the race. 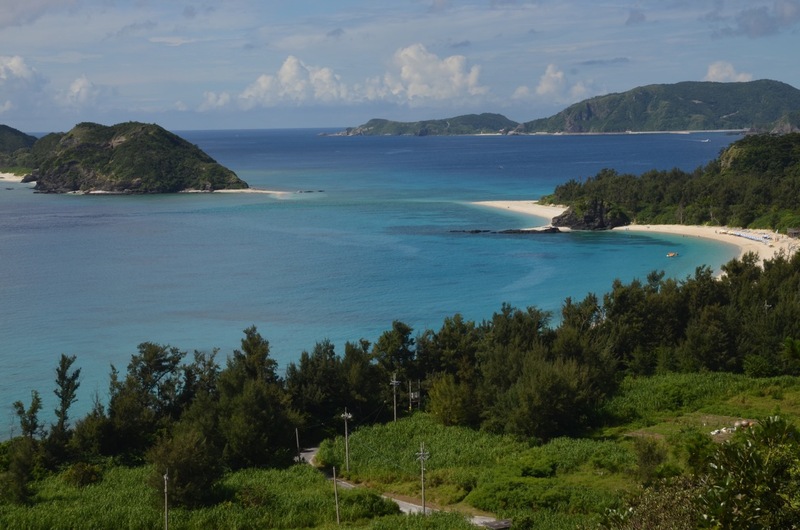 Mori san has sponsored a young builder, and one of the three older builders is still active and has an apprentice. A view from the hill of the beach and bay where the race starts. 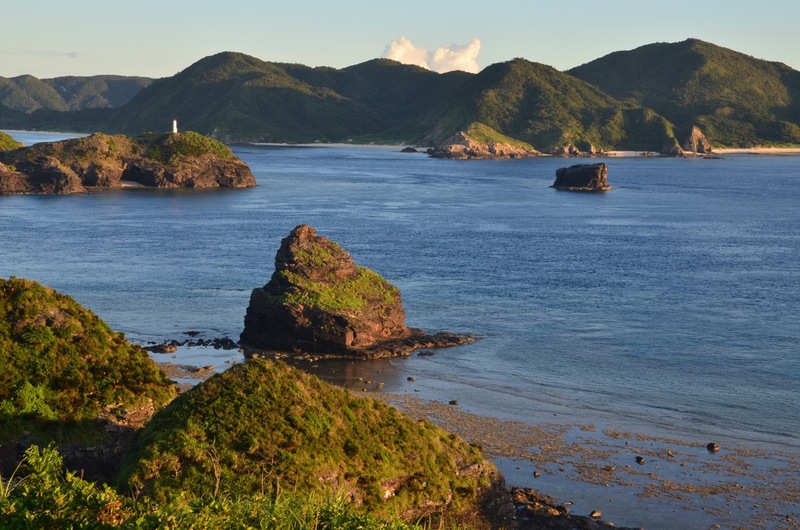 Zamami Island consists of a main town of Zamami and two smaller hamlets. When I built a sabani in 2010 my teacher said no one alive had used the foresail with these boats. 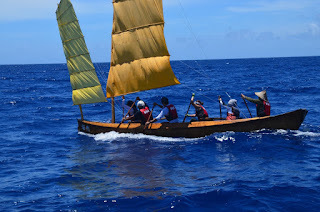 I don't know if this is a recent trend but many of the boats in this years race flew a small sail on a mast canted forward at the bow. The outrigger in the foreground is made from an enormous piece of bamboo, almost six inches in diameter, plugged with wood at either end. We arrived three days early and enjoyed spectacular snorkeling. ...and right before the finish where the boats passed through a narrow channel between islands. 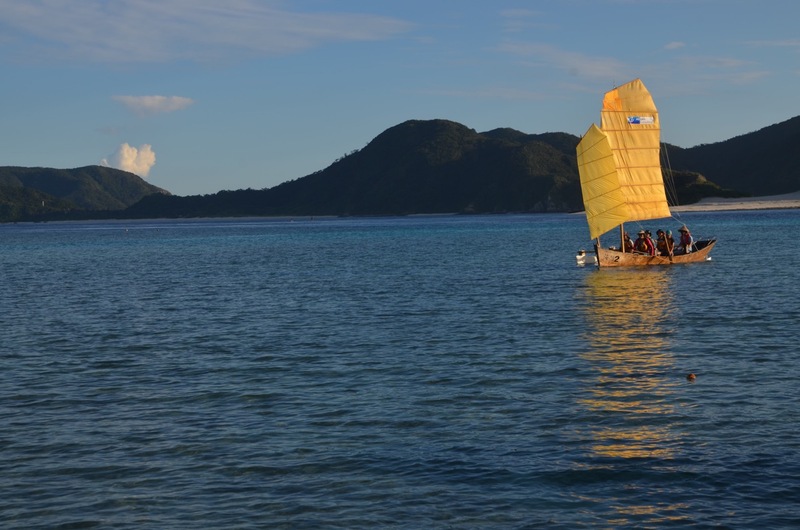 This was a brand new boat launched the week before.